I mentioned a while back that I recently digitized a number of 10" tape reels that I've had lying around for many years. I've been working through this material ever since, organizing it and processing the sound, and the result has been a number of recent posts. 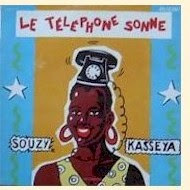 Today I'm putting up several 45s of classic music from the Congo (then known as Zaïre). These were all issued in Kenya in the early '80s. 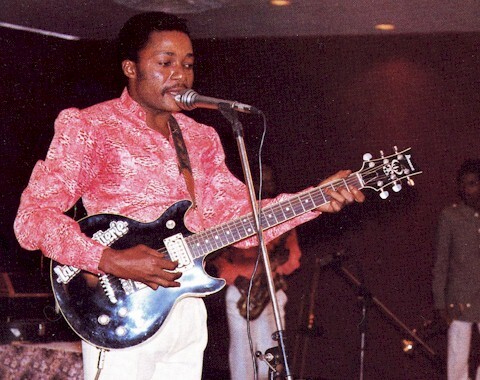 Lipua-Lipua was one of the many innovative new bands that arose in Zaïre in the early 1970s. 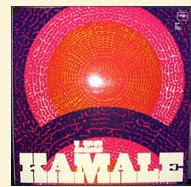 While the label of this 45 (Editions Sakumuna SN 018) credits "Anifa" to Lipua-Lipua, the very informative Bolingo website lists a version by Les Kamale (on the LP Sonafric SAF 50087, right). Of course, Nyboma Mwan'dido was a member of Lipua-Lipua before splitting to form Les Kamale, sings on this version (although not lead), and on SAF 50087 is credited as composer. I've been unable to dig up another citation of "Anifa," and not having the Kamale LP, I can't say if there are actually two versions of this song or one version issued under two different names. Can someone clarify? Update: Several reader/listeners have confirmed that there are two different versions of "Anifa," one by Lipua-Lipua and the other by Les Kamale. 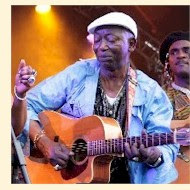 Thanks also to Ronald, who informs us that the lead vocalist on "Tangawusi" is Ntesa Dalienst, not Papa Noël (although Papa Noël did compose it).